Time for this week's Quick Look Wednesday! 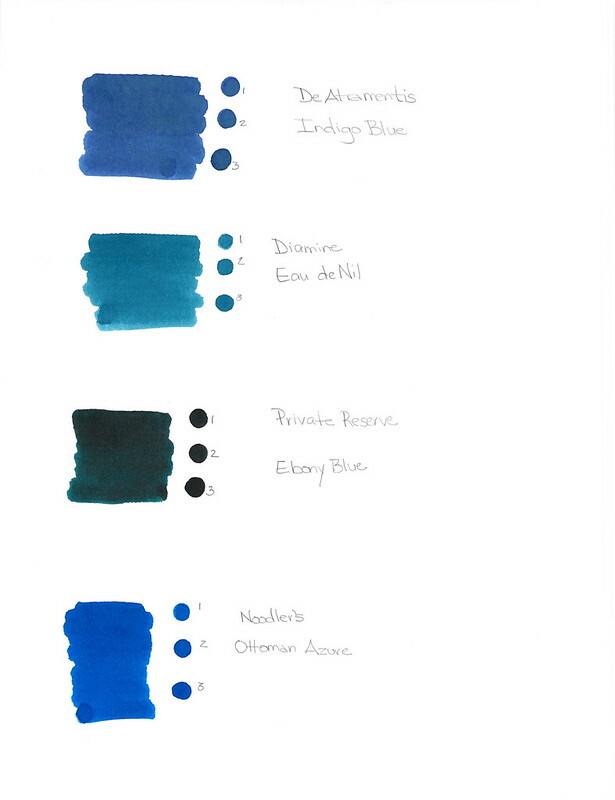 Private Reserve Ebony Blue - maybe my least favorite because it looks more like a green-black in my swabs. Have any of you tried writing with this one? Noodler's Ottman Azure - boom! Pure blue saturation with this one.